Be daring in this crop top girl. 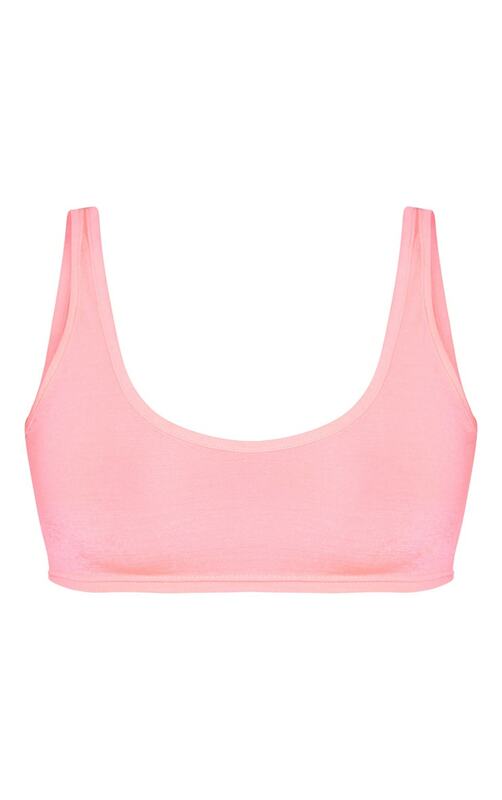 Featuring a neon pink slinky material, with a flattering scoop neck design and extreme crop length, what's not to love? Team with the matching neon cycle shorts, and amp up the look with a clear pink acrylic bumbag for an outfit that is all kinds of goals.